Differentiating the High School Classroom" BOOK STUDY KIT (for 10 teachers). 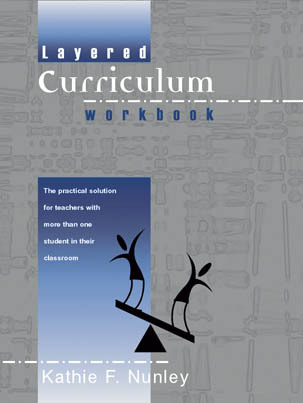 This Book Kit contains 10 copies of the book: Differentiating the High School Classroom, 1 Facilitator's Guide, including an exclusive Power Point CD narrated by Dr Nunley on Layered Curriculum plus 1 copy of the Layered Curriculum Text. RETHINKING CLASSROOM MANAGEMENT: Strategies for Prevention, Intervention, and Problem Solving, 2nd Ed by Patricia Sequeira Belvel. 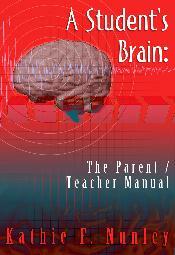 TEACHING THE MALE BRAIN - HOW BOYS THINK, FEEL, AND LEARN IN SCHOOL by Abigail Norfleet James. Differentiate your teaching style to address learning differences between girls and boys in the classroom! This practical guide to teaching boys combines classic and cutting-edge research to show you why males learn differently and, more important, how you can differentiate teaching strategies to help them succeed in the classroom. THE DEVELOPING BRAIN BIRTH TO AGE EIGHT by Marilee B. Sprenger. Best-selling author Marilee Sprenger covers the basic structure, vocabulary, and current research on the brain from an early childhood educator's point of view and provides an abundance of illustrations and descriptions. User-friendly guide. A GUIDE TO GRAPHIC ORGANIZERS - 2nd Edition by James Bellanca. Help students organize their thinking, process content, and work cooperatively! Graphic organizers are effective, research-validated tools for supporting student achievement and promoting students' higher-level thinking. 24 ready-to-use graphic organizers to enhance student learning across subject areas and grade levels. All orders are charged and handled by real people. Free shipping on all US orders over $40 when ordered online. Books generally ship within 2 business days. US addresses ship Priority Mail with delivery confirmation. International Orders ship in a flat rate Global Priority whenever possible (generally a 3 book or less order). Larger orders ship UPS Standard. INTERNATIONAL CUSTOMERS PLEASE BE AWARE OF YOUR CREDIT CARD CONVERSION FEES AND CUSTOMS DUTY FEES. WE HAVE NO CONTROL OVER THOSE. Books must be returned within 30 days, any shrink wrap unopened, and in a resellable condition. A 20% restocking fee may apply. *We accept institutional Purchase Orders for US orders over $50.00 net. A $3.00 processing fee will be added to any Purchase Orders under $50. Please fax or mail your Purchase Order to us. Layered Curriculum is a registered trademark developed and owned by Dr. Kathie F. Nunley.